Two indomitable styles of dance music come together here. One is from the past, all flutes and lutes fluttering and harpsichord trilling, with no percussion except the sound of fervent court dancers and baroque celebrities hoisting their skirts to show off their fancy footwork, the era of clammy hand-holding in a collective series of movements including gentle twirls and partner swapping. The other style is rooted in dancehall, just as clammy if not more so but with less collectivism and more individual flair, and wholly centred on the beat pouring out of the soundsystem and onto the sultry writhing dancefloor. 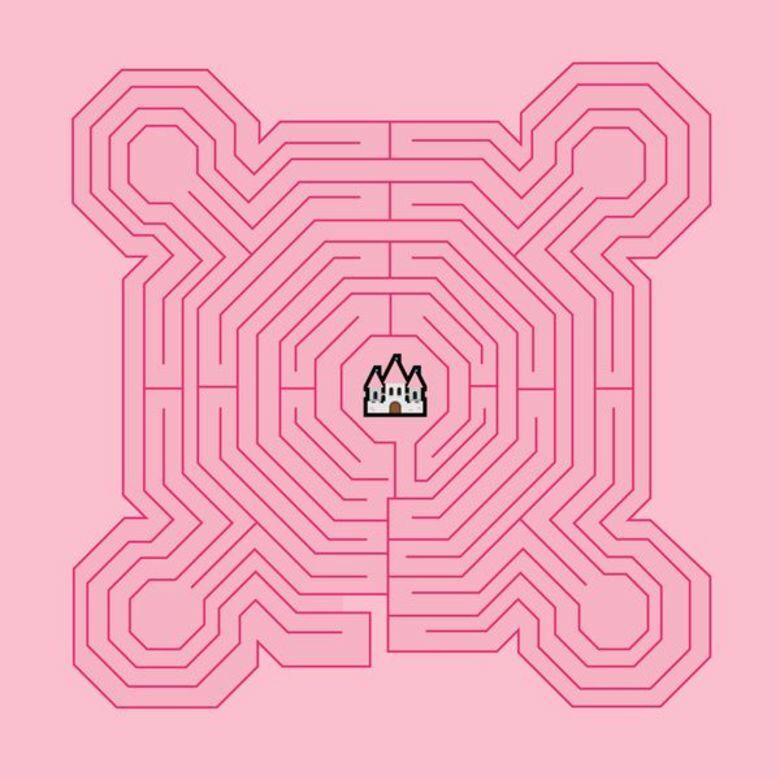 In 'Mindmaze' London producer E.M.M.A fuses the breezy proprieties of delicate medieval court music with the marching mayhem of dancehall-flavoured beats, a trundle of rolling abrasive snares and rapid-fire handclaps that lock in with snippets of that courtly music of yesteryear. However there is a twist. And the twist is that these fine melodies are actually lifted from the music of Mindmaze, the educational diluted dungeon crawler that came with childhood-summoning e-encyclopedia, Encarta '95. The choice of source material speaks of junior schools in Autumn, installing the CD-ROM on your family computer, working your way through the maze—but more than that it simply conjures youth, not with abstract references, faux-'80s remembrances, but with a concrete trinket from the old days; and the cocktailing of that with a current rhythm suggests that this is more than vacant nostalgia, something closer – with its strong booming beats and naturally playful nature – to an extension of youth, a refusal of adulthood. 🔔 This track arrives alongside another called 'Pumpkin Emoji', both of which will comprise a 12" single from E.M.M.A to be released on 10th of November via Coyote Records. You may pre-order it by clicking on this exact hyperlink and selecting from a series of options.